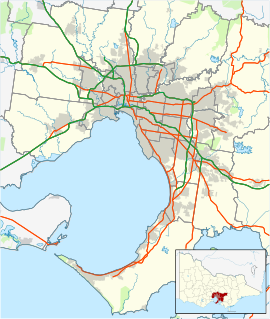 Airport Drive is a 5.7 kilometre highway in Melbourne, Australia, linking Centre Road at Melbourne Airport with the M80 Ring Road at Airport West. This road is an important thoroughfare for the adjacent Melbourne Airport Business Park along South Centre Road, and as an alternative to the nearby Tullamarine Freeway. Airport Drive originally opened to traffic in May 1997, and was declared a freeway under the Road Management Act of 2004. In July 2013, construction began on an extension of Airport Drive from Sharps Road at Tullamarine to the intersection of Melrose Drive and Mercer Drive, Melbourne Airport. The Airport Drive Extension opened to traffic in July 2015, with the existing roadway between Mercer Drive and Centre Road renamed as Airport Drive. As part of the extension project, Link Road was realigned to form a new traffic light intersection at Airport Drive, with through traffic connecting to Watson Drive and Melrose Drive. The extension is classified as an arterial road, rather than as a freeway. ^ a b Google (4 June 2017). "Airport Drive (Melbourne)" (Map). Google Maps. Google. Retrieved 4 June 2017. ^ Choahan, Neelima (29 June 2015). "Melbourne Airport Drive extension opened". The Age. Fairfax Media. Retrieved 4 June 2017.